Ghostly legends abound wherever history has made its mark-from battlefields to monuments, prisons to inns. If these places have existed for centuries or more, and if they are where history-especially tragic history-was made, ghost stories will inevitably follow. The World's Most Haunted Places: From the Secret Files of Ghostvillage.com explores the history, folklore, and ghostly legends behind some of the world's most fascinating points of interest. Objective, educational, and entertaining, Ghostvillage.com's founder, Jeff Belanger, speaks with witnesses, psychics, and ghost hunters who tell their stories and share their research on haunted places around the globe. Take a world tour of history, the supernatural, and the macabre. You will explore libraries, museums, restaurants, inns, and landmarks from North America, South America, Europe, and Australia. But be careful: The World's Most Haunted Places may make you a believer! "In The World's Most Haunted Places, Jeff Belanger captures the essence, experience, and profound nature of peoples' brush with ghosts. This poignant work is the single best book I've seen that combines the history, folklore, and true ghost stories of renowned haunted locations around the globe." 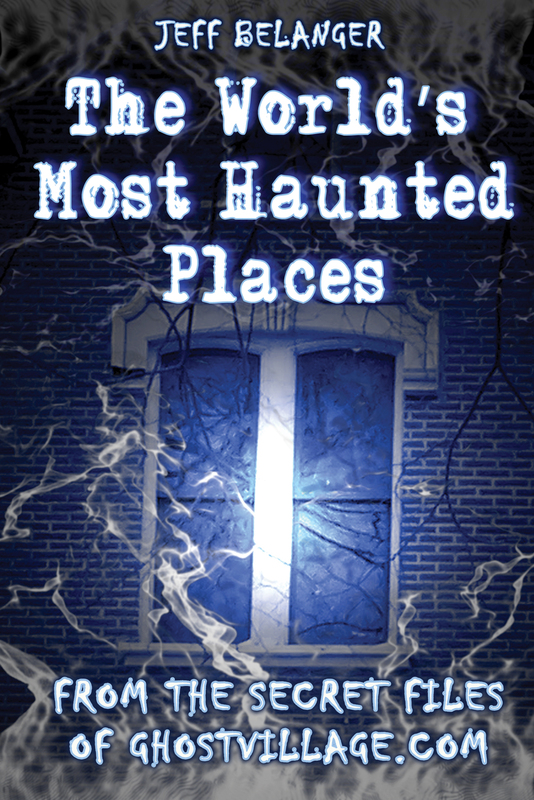 "If you are looking for historic haunts and some cold chills to run down your spine, you have come to the right place. Jeff Belanger is one of the acknowledged masters of American hauntings and his eerie writings will appeal to anyone with an interest in ghosts and hauntings, no matter how jaded the reader might be. This book is a sure thing and one that will have you looking over your shoulder long after closing the cover." "Jeff Belanger knows how to bring ghosts back to life! These true tales of hauntings are enhanced by in-depth research and rich attention to detail, but it's Belanger's natural gift as a storyteller that puts The World's Most Haunted Places above and beyond most books of ghostlore. This book can bump me in the night anytime!" This book is in its fifth printing (and now second edition). Barnes & Noble has bought the hardcover rights. Foreign rights sold: UK, Estonian, and Russian. To inquire about rights, please email rights@jeffbelanger.com and we will forward your request to the appropriate party.